Sieger Suarez, Miami developing giant, just announced yet another project to change the Miami skyline. Very few details have been released, however the planning and zoning board approved the building this week. It will be 36 towers high and will add an estimated 350 units to the inventory in downtown. If history is any indicator of the type of units this property will contain, we can expect the apex of luxury. The address of the new project is 151 SE 1st Street, which is directly behind the Gusman Center. The pace of development in South Florida is incredible and shows no sign of slowing. 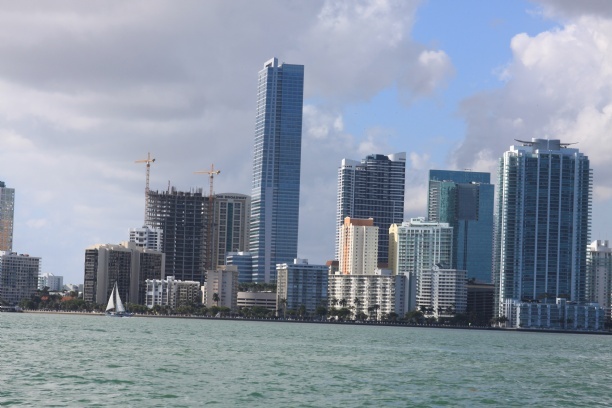 There are over 100 new developments approved in both commercial and residential real estate in South Florida currently, and there are 80 in construction. Everywhere you look from Collins to Brickell there is widespread construction. Nationwide as well the lack of inventory and continued demand from buyers both foreign and domestic, has developers scrambling to purchase land and work on projects to suit the needs of a growing economy. With mortgage rates continuing to be low also, there are more buyers coming to the market, and those that were underwater are resurfacing with favorable conditions for refinancing. Excellent news and we will keep you posted on the latest.